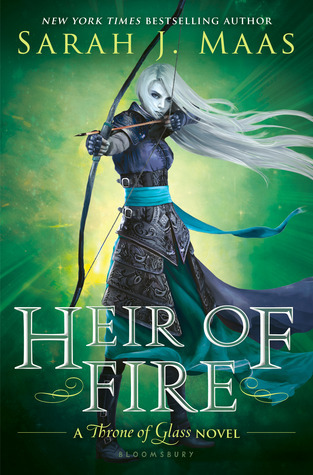 rating: 5/5 [in the genre] or 7.5/10 [all books I’ve ever read]. recommended for: Fans of John Green(especially Paper Towns) and Jandy Nelson, who are okay with something a little less profound and a little quirkier. This is one of those books that I embarked on with some trepidation--unfounded. Anatomy of a Misfit is a vibrant, frenetic book. Imagine the Electric Kool-aid Acid Trip without the acid. (Or the beats, or the same plot, but you get the idea.) The plot is a mix of teenage antics and crazed romance taken to the just-believable extreme. The writing is rambling and insecure. Anika--the third most popular girl in school, of course--is an endearingly manic, unreliable narrator with a good heart and a penchant for bad decisions. Her insecurities and deep flaws challenge the reader's opinion of her, but I imagine that she's someone everyone has been, once in their life. She's also bitingly, often unintentionally, funny. You may see her relationship with Logan as daft and dangerous (I hope you do), but Anika deviates from the cliche by demonstrating actual self-awareness. Despite the book's relative brevity and fast pace, it manages to encapsulate so many parts of Anika's life, from her tenuous relationship with her stepfather, to her ambivalent friendship with the first most popular girl, to her battle between love and social status. In the end, it's pure fun with a side of heartwarming and a dash of poignancy. My feelings about the plot change a little every time I think about it. On one hand, I worry about the implications of Anika's relationship with Logan. He's obviously unstable, so the decision implied by the blurb is not only between love and popularity, but between love and safety. You can't fix the bad boy. On the other hand, Anika also recognizes Logan's deep flaws and actually reacts to them like a sane human girl. Which I appreciate. Also on the problematic side, Anika's relationship with Tiffany has a tinge of white savior complex. But then, Tiffany doesn't react as the obsequious overly grateful black stereotype, so that helps. There are also some scenes that stretch feasibility. However, once you accept that this book is a little over the top, it's easy to appreciate the parts that just scream teenager. Struggling with popularity and bullying, snarking about your part-time job, fangirling over the jock god, fighting with your stepfather, sneaking out to meet the bad boy . . . it's all deliciously nostalgic. Portes also does a fantastic job of disrupting the typical high school romance story arc and interweaving plenty of non-romantic shenanigans. Then there's that ending. Affecting, but not overdone. The result is a coming-of-age book that stands solidly apart. Portes takes a fresh look at the forbidden romance. With unusual twists and deadpan flair, it takes the old popular girl meets outcast guy story and makes it new. I think it's the interweaving of so many elements that made it work for me. It's not just a romance. In fact, the romance covers only about a third to half of the pages. It's also a book about broken homes and broken people--but, again, the transient focus on this keeps it from being a clear-cut "issues" book. There's also much more of a focus on friendship and family than your average romance. Anika's friends matter, her parents matter, and navigating her relationships with them is just as important, sometimes more so, than navigating her relationships with bad boy Logan and golden boy Jared. Portes' earnestness takes a handful of what could be cliche elements and twists them into something absolutely credible, if not a little wild. Did I mention that I love Anika? It's not always so. She has some very unattractive qualities. She uses "gay" to mean "stupid" and she's incredibly judgmental. However, you can dislike her flaws and still appreciate her well-meaning foolishness, bravery, and child-like whimsy. She messes up, a lot, but her heart's in the right place. For once, I don't have much to complain about with side characters. For the most part, they're all given enough space to feel fleshed-out. Shelli is an admirable best friend, uncertain and tentative at times but always on Anika's side. Anika's mother is a little clueless but also whimsical and loyal. Anika's father is overbearing but loving, her stepfather rough and a bit lost but also very loving. The most problematic portrayals are probably Logan, Jared, Becky, and Tiffany. Logan is over-the-top wild in ways I won't spoil, and it's a little extreme. Jared and Becky feel very typical as far as golden boy and queen bee go. Tiffany is a little thin, and feels a bit like ethnic scenery, someone to show that Anika's "progressive." But, on the whole, the cast is interesting and complex. I'm normally here, in this section, gushing about painterly prose or whining about flat, derivative writing. Portes' prose isn't necessarily poetic. However, it's perfect for this book. She writes from Anika's first person perspective. Where other authors are tempted to twist the teenage voice into something too polished and old, Portes lets Anika speak like a sixteen-year-old. Her voice is quirky. She rambles. She goes on tangents. She second-guesses herself. She uses slang. She's laugh-out-loud funny. Literally, I sounded like a crazy person reading this, chuckling to myself. She also dips into the profound, while still sounding like herself. The writing really won me over. I believed in Anika. This book could have been ripped from a teenager's diary or brain, and it's that much better for it. Some of the events in Anika's life are just a little extreme, or a little hard to stomach. She uses "gay" as "stupid" and doesn't get called on it. She dopes her boss' coffee with Valium so he'll be nicer to her best friend. She successfully steals a lot of money from her work cash register. Then there's Logan, who breaks some rules and some laws with relative impunity. It's all a little incredible, and it had me raising my eyebrows at more than one point. It's also unclear exactly how Anika is a "misfit," except for her strange name. I'd have loved to hear more about her dark "spider stew" inside. 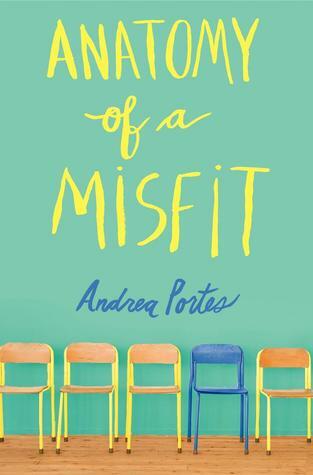 Frequently zany, sometimes poignant, always hysterical, Anatomy of a Misfit is a book that demands to be embraced and enjoyed without pretension and with a light heart.